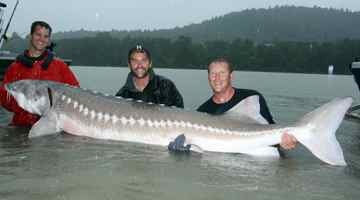 Action: Closes for retention of white sturgeon. Catch and release permitted. Reason for Action: The recreational harvest guideline (300 fish) for The Dalles Pool is expected to be reached by the closure date. 60,000 large rainbow trout stocked on westside, more to come for WDFW's "Fall into Fishing"